Bloomington Heating & Air has provided high-quality residential heating system and furnace repair services for over 25 years. Our technicians are trained to handle all types of heating system issues in a range of heating systems from oil and gas furnaces and heat pumps to geothermal heat pumps and electric central heating. Timely repairs do more than restore adequate heating to your home — they can also serve to extend the functional lifespan of your heating system and ensure long-term efficiency. The comfort of our customers is our No. 1 priority. Contact us today to schedule residential furnace repair or for 24/7 emergency services! A malfunctioning heating system can affect home comfort as well as the safety. Bloomington Heating & Air offers a Comfort Savings Plan Agreement, which includes planned HVAC maintenance and discounts on heating repair services, among other members-only perks. Regular precautionary maintenance is the most effective way to prevent these common heating system issues. Most homeowners perceive a slight odor or burning smell when the heating system is first turned on. While the presence of brief odors is normal, the smell should dissipate within one to two hours of turning on the heat. If there are any lingering odors — such as burning, chemical, smoke, or rotten egg scents — turn the system off and call Bloomington Heating & Air for service right away. Burning: Electrical components, such as wires, can begin to smolder or burn when excessive heat is contained inside the furnace. A metallic smell could be caused due to overheated rubber components within the system. Chemical: This type of smell is generally caused by a crack in the heat exchanger, which could cause a carbon monoxide leak. Smoke: The lingering scent of smoke typically means the furnace chimney is clogged or blocked. Rotten Eggs: Gas leaks often produce the scent of rotten eggs. Gas suppliers add sulfur to natural gas — which is otherwise odorless — so that homeowners can detect gas leaks more easily. While most modern furnaces have built-in carbon monoxide detectors, older heating system models typically don’t. Each home should have at least one carbon monoxide detector near the furnace and one on each floor of the home. If your home’s carbon monoxide detector goes off, turn off the system and call Bloomington Heating & Air as soon as possible. Our technicians respond promptly and will make any repairs necessary to ensure your furnace is safe to use again. At least part of your home’s heating system relies on electricity to function, so if a fuse blows or breaker trips, heat may be brought to a halt. Whether your heating system fails due to disconnected wiring or a damaged thermostat, our trained technicians have experience in troubleshooting electrical issues in residential heating systems and will have the heat back on in your home quickly. Each home is unique in terms of heating capabilities. But if there is uneven heating in the home, the cause may be as simple as a blocked air vent, or as complicated as an improperly functioning compressor. The cause of uneven heating can also be attributed to issues in the ductwork, such as leaks or damage, which affects the ability for heat to reach specific rooms in a home. If you’ve had your furnace and heating system for more than a day, the internal mechanisms have already begun to work. The movement over time results in wear and tear on the parts, but routine maintenance and checkups from Bloomington Heating & Air can give you a heads up before you have a cold home during the winter. If there’s an issue with the thermostat, your residential heating system won’t know when to turn on – or off. A thermostat that causes a fan or blower to work more than necessary can lead to its premature failure. 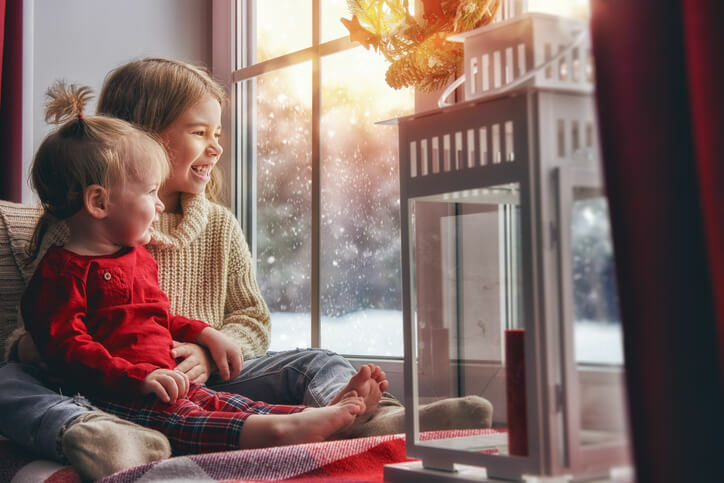 If you’re reaching for extra blankets during the late fall and winter because your heating system can’t keep up with the seasonal chill, it’s likely that your home furnace is in need of residential heating repair. There are many issues that can affect a residential furnace, HVAC system or heating unit. If your home’s heating is struggling to maintain a comfortable temperature, it’s time to call an HVAC repair company you can count on. The service technicians at Bloomington Heating & Air can diagnose and remediate the issue and get your furnace back to performing its duty. When your heating isn’t working, there’s no reason to wait to contact a professional heating repair company. Although there are a few things homeowners can do to confirm the need for repairs, it’s best to let the professionals do the work. Ensure the thermostat is set to heat, not cool. Check that the circuit breaker is in the “on” position. Confirm the furnace control unit switch is in the “on” position. Furnace troubles and heating repairs never show up when it’s convenient, but that’s just what we expect at Bloomington Heating & Air. When your furnace won’t turn on, your heat pump has failed, or your HVAC is pushing cool air, our 24/7 heating repair team is ready to deploy. Whether you need emergency heating repair services in the middle of the night, on a weekend, or even the night before a holiday, our technicians will get your heating up and running as quickly as possible.